60/40 Split Folding Rear Seat, Adaptive Headlights w/High Beam Assist (AHBA), Auto-Dimming Exterior Mirrors, Blind Spot Monitor w/Closing Vehicle Sensing, Front Center Console Cooler Box, Front Climate Comfort & Visibility Pack, Heated & Cooled Front Bucket Seats, Heated Rear Seat, Heated Steering Wheel, Heated Windshield, Navigation System, Soft Door Close, Surround Camera System, Twin Blade Sunvisors, Vision & Convenience Package, Wheels: 21" 5 Split Spoke (Style 507). Recent Arrival! Certified. CARFAX One-Owner. Clean CARFAX. Land Rover Approved Certified Pre-Owned Details: * Up to 72 months/100,000 miles (whichever comes first) from original in-service date, including Trip Interruption Reimbursement * Transferable Warranty * Warranty Deductible: $0 * Roadside Assistance * Vehicle History * 165 Point Inspection Mariana Black 2016 Land Rover Range Rover Sport 5.0L V8 Supercharged 4WD 8-Speed Automatic 5.0L V8 Supercharged Our experienced sales staff is dedicated to satisfying our customers' need. We encourage you to take the time to browse our inventory online, request more information about vehicles, set up a test drive or inquire about financing. If you do not find the vehicle you are looking for on our website, fill out the Vehicle Finder form with a description of the Jaguar of your choice and we will notify you when it has arrived. Or click on Directions for interactive driving directions and other contact information to speak with a sales representative. We look forward to serving you. 4-Zone Climate Control, 60/40 Split Folding Rear Seat, Adaptive Headlights w/High Beam Assist (AHBA), Auto-Dimming Exterior Mirrors, Blind Spot Monitor w/Closing Vehicle Sensing, Front Center Console Cooler Box, Heated & Cooled Climate Rear Seat, Heated & Cooled Front Bucket Seats, Heated Steering Wheel, Heated Windshield, Luxury Climate Comfort & Visibility Pack, Navigation System, Soft Door Close, Surround Camera System, Twin Blade Sunvisors, Vision & Convenience Package, Wheels: 22" 5 Split Spoke (Style 504). Recent Arrival! Odometer is 5711 miles below market average! Certified. CARFAX One-Owner. Clean CARFAX. Land Rover Approved Certified Pre-Owned Details: * 165 Point Inspection * Up to 84 months/100,000 miles (whichever comes first) from original in-service date, including Trip Interruption Reimbursement * Transferable Warranty * Warranty Deductible: $0 * Vehicle History * Roadside Assistance Santorini Black 2016 Land Rover Range Rover Sport 5.0L V8 Supercharged 4WD 8-Speed Automatic 5.0L V8 Supercharged Our experienced sales staff is dedicated to satisfying our customers’ need. We encourage you to take the time to browse our inventory online, request more information about vehicles, set up a test drive or inquire about financing. If you do not find the vehicle you are looking for on our website, fill out the Vehicle Finder form with a description of the Jaguar of your choice and we will notify you when it has arrived. Or click on Directions for interactive driving directions and other contact information to speak with a sales representative. We look forward to serving you. 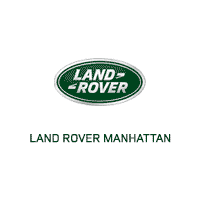 *Land Rover Approved Certified Pre-Owned Coverage, including limited warranty and roadside assistance, expires up to seven years from the original in-service date or 100,000 miles, whichever comes first. Original in-service date is the earlier of the new-vehicle retail sale or in-use date, as reported to Jaguar Land Rover North America, LLC. Select vehicles may have the option for different warranty terms. Vehicles with the 7 years/100,000 miles limited warranty are limited in supply and only available at participating Land Rover Retailers. See your local authorized Land Rover Retailer for complete terms and conditions of the limited warranty and service coverage.